Last week we shared some books we used to explore a bit about Arizona from Massachusetts. I even shared some of the pictures my family took in Arizona on our trip across the country when I was young. While flipping through the pictures I noticed pictures labeled near the Navajo Monument and thought it would be fun to learn more about Navajo Nation. I remember fondly stopping to look at the beautiful jewelry made by the Navajo and getting to pick out a bracelet. I wore that bracelet all the time until it broke. So we went off to find some books about the Navajo. 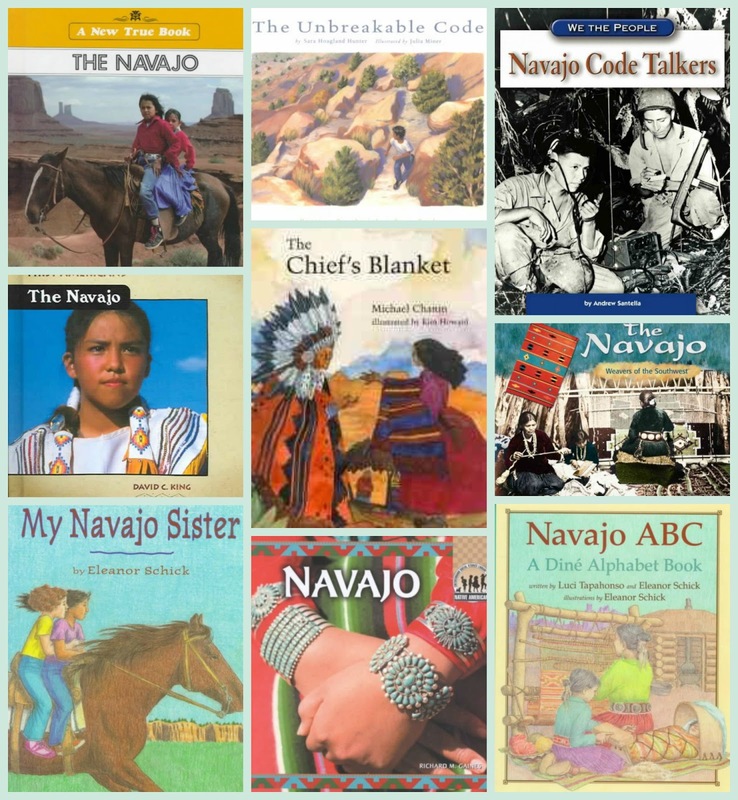 These books are a combination of non-fiction and fiction stories to learn about the culture and lifestyle of the Navajo. The Navajo have an interesting history. They started in North America (after coming from Asia) in the North. They slowly moved South and stopped when they reached the land surrounded by four mountains as their gods promised no harm would come to them in this land. They were hunters and gatherers, but saw their neighbors farming and soon learned to farm. Corn became a mainstay. They also used plants for many different things--cooking, ceremonies and medicine. 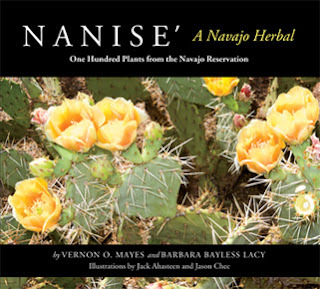 A wonderful resource for this is Nanisé: A Navajo Herbal by Vernon O. Mayes and Barbara Bayless Lacy. I was lucky enough to preview it since Five Star Publications sent me the copy for the prize in the Native American Heritage Month Giveaway. It goes plant by plant and describes the plant and then gives the Navajo uses for the plant. There are sketches of the plant as well as colored pictures. They also were taught how to weave cotton and wool for clothing since they wore deerskin prior to this and it was too warm in the hot arid climate. After being taught to weave their weaving became well known around the world. One of the stories above is about weaving a blanket for a chief from a northern tribe. In the story at least the chiefs would travel far distance to get one of the Navajo blankets. The Spanish Missionaries arranged for the Native Americans to be taught to work with silver by Mexican silversmiths. The Navajo used their knowledge of stones and gems and made silver jewelry with turquoise stones. The Navajo built hogans for their homes. These had wood for frames and then were covered with the red clay mud from their surroundings. The only door always faced East to welcome the morning sun. There were no windows. The only other opening was in the roof to let smoke escape when they had to cook in their hogans due to weather. "Hogan Navajo" by I, PRA. Licensed under CC BY 2.5 via Wikimedia Commons. The Navajo are a matriarchal culture. When a couple marries they live with the wife's tribe and the children take the mother's tribe's name. The women made many of the decisions. The men did the hunting and caring for the animals. The women grew the crops, cooked, made the clothes and did the weaving. Mostly men worked with silver and made jewelry. They believe that everything has a spirit and must be respected. Their traditions are passed down by stories. The call themselves Dine which means the people. They speak their own language which was never a written language. The Navajo had to fight for the land when they arrived in Arizona. Then they had to fight the Spanish who wanted to take the land. Then came the American Government. After fighting and surrendering the Navajo were marched to Fort Sumner in New Mexico. This is known as the Long Walk to the Navajo. Many died on the walk as well as at Fort Sumner. Later they were allowed to return to their land where the U.S. Government created the Navajo Reservation. Their children were sent to "Indian Schools" where they were forced to speak English and cut their hair. These were boarding schools. The government was trying to Americanize the Native Americans. During World War II the U.S. Military needed a new way to send messages to the various troops. Their messages were being intercepted and interpreted by the Japanese. A white man who lived for a time on the Navajo Reservation came up with using the Navajo language. Only a few non-Navajos knew the language and since it was not a written language it was hard for many to learn. The U.S. Marines went in to recruit telling the Navajo men that they were needed for a special project. Once they made it through boot camp they were taken to a room and told what the project was. They came up with their code using the Navajo word for "ant" for the letter "A" and similar for other letters plus types of birds for planes and the word egg for bombs. The code word for the United States was the Navajo word for mother. The Navajo code talkers were often sent in with the front line forces and faced many battles. Very few died during the war and the messages were always received and quickly passed on to the proper people. They were never interpreted by the Japanese. These men were true heroes during the war but when they came home they could not tell anyone about what they had done in case the military needed to use the code again. They were not given the recognition they deserved until the 1990s. By the time the American Government recognized them only a few were still alive. These men who were mistreated by the American Government stepped forward to fight for the country. This of course lends itself to deciphering codes in mathematics. The perfect time for a multicultural math lesson!! For an explanation on deciphering codes and making codes check out The Secret World of Codes and Code Breaking. You can also get some free worksheets here. In more recent time the Navajo discovered oil on their reservation land. However it is still not enough to get them completely out of poverty. Many of the Navajo young adults describe being pulled by two worlds--the Navajo Nation and the American culture. It reminds me of the amazing book I reviewed awhile ago, Wind Catcher. The second book is coming out this month and both are prizes in the Native American Heritage Month Blog Series and Giveaway. The main character deals with this living in two worlds through a good part of the book. For more on the Navajo Nation check out the books as well as Discover Navajo Navajo People, and Navajo Nation Government. 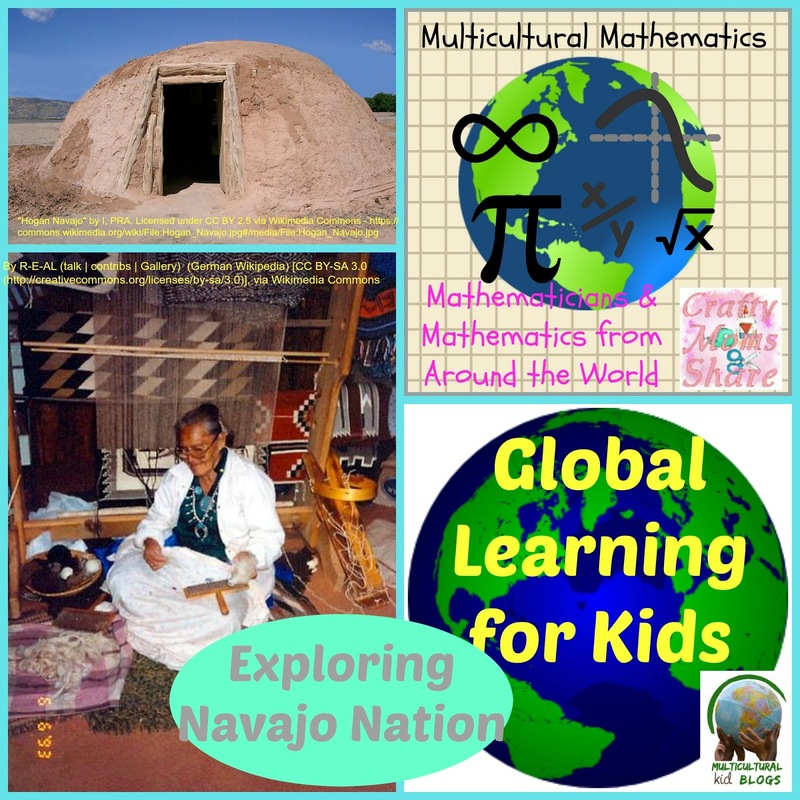 Since this post is part of Global Learning for Kids, now is your chance to share any posts you have on indigenous people of North America. Be sure to check out all the other great posts to get a complete picture and lessons on various tribes. And don't forget to enter the Native American Heritage Month Giveaway!You may win this copy of Nanisé!